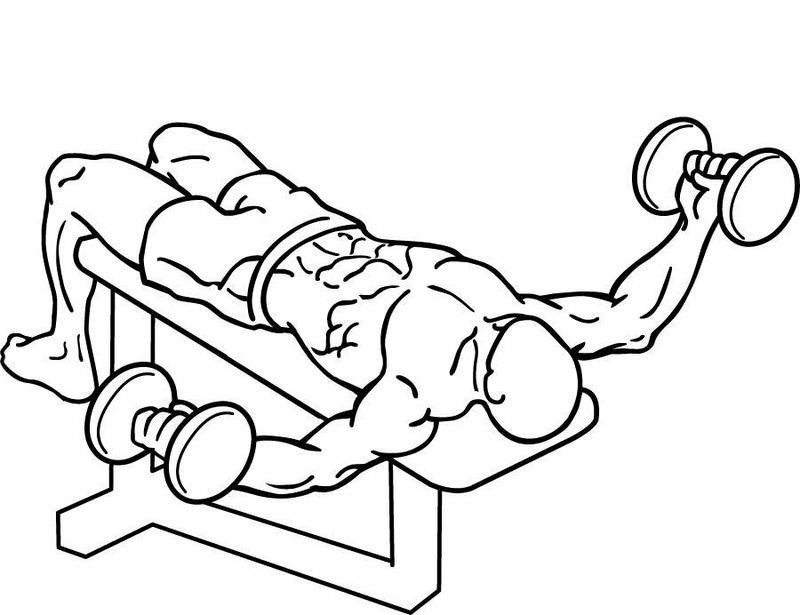 Sit on a flat bench and hold a dumbbell in each hand. Create a slight bend at the elbows and rotate your wrists so that your palms are facing you. Bring the dumbbells up in front of you until the dumbbells are near each other while keeping your torso stationary. This is your starting position. Inhale and slow begin to lower your arms to the side while keeping your arms in the same position. Keep doing the movement until the dumbbells are by your side and you feel the stretch in your chest. Pause briefly, then exhale and slowly bring the dumbbells back to its starting position by reversing the motion.